From 2008 to 2017, newsroom employment in the U.S. dropped by 23%. 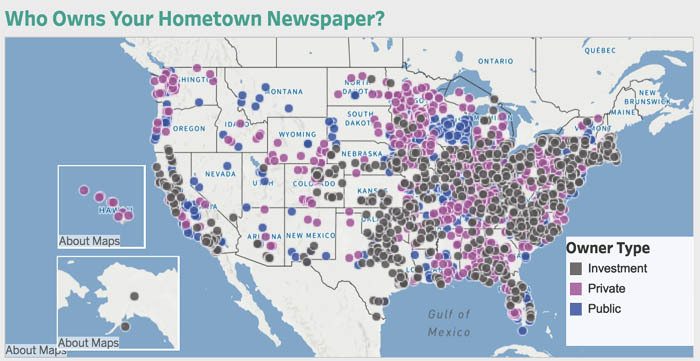 In 2008, about 114,000 newsroom employees – reporters, editors, photographers and videographers – worked in five industries that produce news: newspaper, radio, broadcast television, cable and “other information services” (the best match for digital-native news publishers). By 2017, that number declined to about 88,000, a loss of about 27,000 jobs. 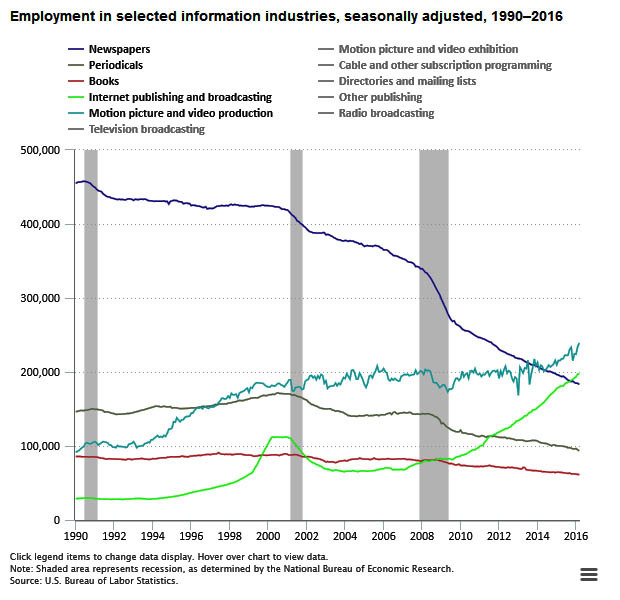 This decline in overall newsroom employment was driven primarily by one sector: newspapers. Newspaper newsroom employees dropped by 45% over the period, from about 71,000 workers in 2008 to 39,000 in 2017. Newsroom employment figures in broadcast television were relatively stable, remaining at about 28,000 between 2008 and 2017. Employment also remained relatively stable in cable television, at about 3,000 over the same period. 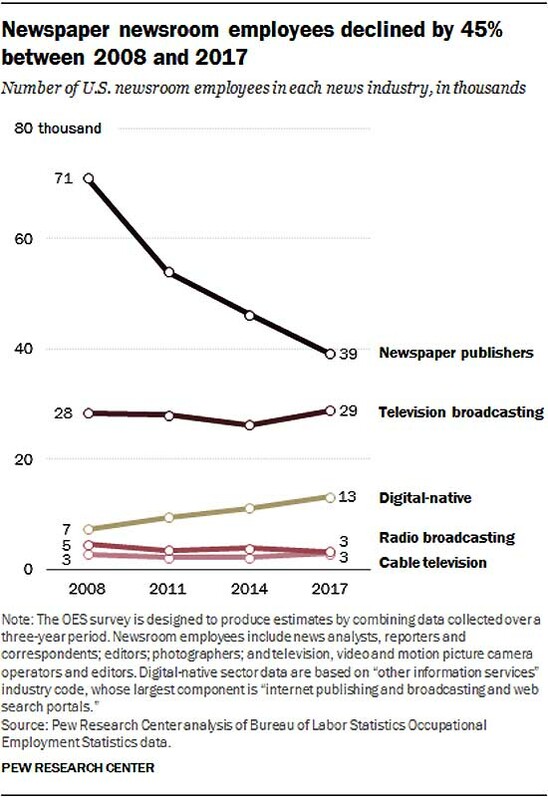 In contrast, radio broadcasting lost about a fourth (27%) of its newsroom employees, dropping from about 4,600 workers in 2008 to about 3,300 in 2017. 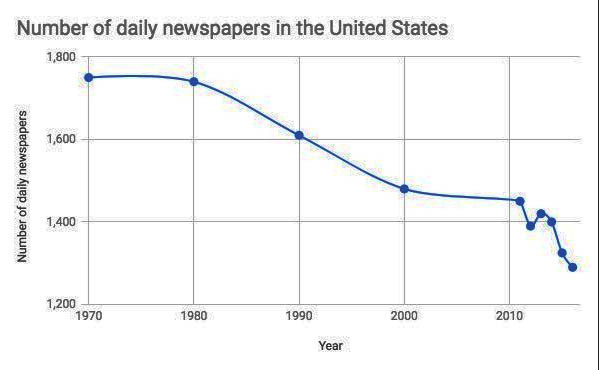 Percentage-wise this places radio behind newspapers as the industry with the greatest decline, though the overall number of jobs lost – about 1,250 – is 25 times smaller than the loss in the newspaper sector. And the killings soar in rural areas and mountain states, Trump territory. Overall, police account for one in twelve of the nation’s homicides, according to new research just released by Cornell University. Blacks are disproprtionately represented as are Latinos. Mountain states account for one-sixth of all homicides, nearly three times rate of major cities, followed by rural areas. 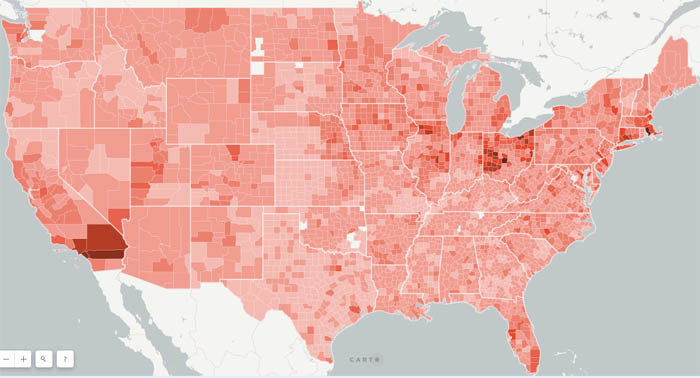 We would also note, following up on our recent post on the collapse of American journalism, that the areas with the highest killing rates are concentrated in areas when their are few papers, and those left running are often owned by investment bankers with no interest in hard-hitting investigations that might alienate advertisers. According to a new study led by a Cornell researcher, an average of nearly three men in the United States are killed by police use of deadly force every day. This accounts for 8 percent of all homicides with adult male victims – twice as many as identified in official statistics. 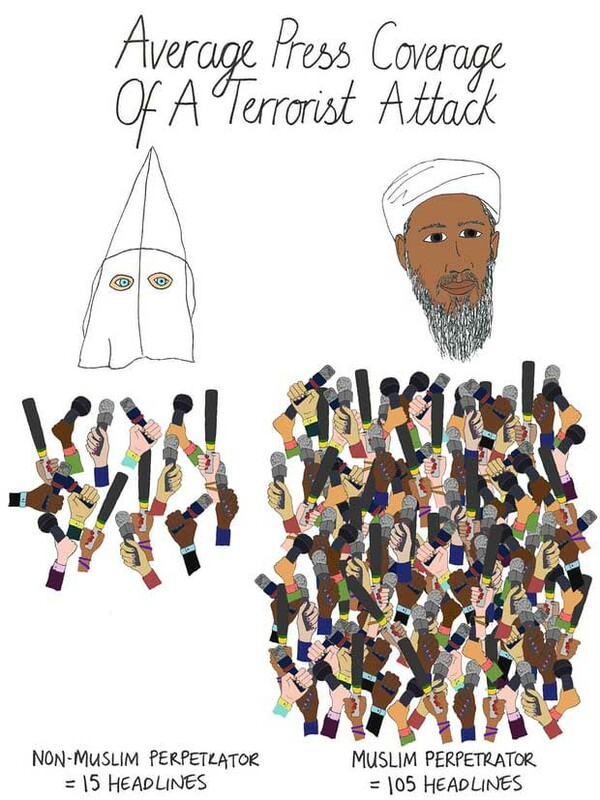 These starkly contrasting numbers are part of the study, “Risk of Police-Involved Death by Race/Ethnicity and Place, United States, 2012-2018” [$38 for non-sundscribers], led by Frank Edwards, postdoctoral associate with Cornell University’s Bronfenbrenner Center for Translational Research, published July 19 in the American Journal of Public Health. Past work on police-involved mortality has been limited by the absence of systematic data, Edwards said. Such data, primarily collected through the Bureau of Justice Statistics’ Arrest-Related Deaths program or the Federal Bureau of Investigation’s Supplementary Homicide Report, are widely acknowledged as unreliable due to limited scope and voluntary data reporting. In response to such shortcomings, journalists, activists and researchers have begun collecting data that count police-involved deaths through public records and media coverage, a method the Bureau of Justice Statistics says is actually more reliable than relying on police departments to report, Edwards said. Through this method, the research found that the risk of being killed by police is 3.2 to 3.5 times higher for black men than for white men, and between 1.4 and 1.7 times higher for Latino men. Edwards and his co-authors identified 6,295 adult male victims of police homicide over a six-year period between Jan. 1, 2012, and Feb. 12, 2018 – averaging about 1,028 deaths per year, or 2.8 deaths per day. Of those 6,295 victims, 2,993 were white, 1,779 were black, 1,145 were Latino, 114 were Asian/Pacific Islander, and 94 were American Indian/Alaska Native. During this period, black men were killed by police at a rate of at least 2.1 per 100,000 population, Latino men at a rate of at least 1.0 per 100,000, and white men at least 0.6 per 100,000. The research also showed that this risk varies dramatically by location. 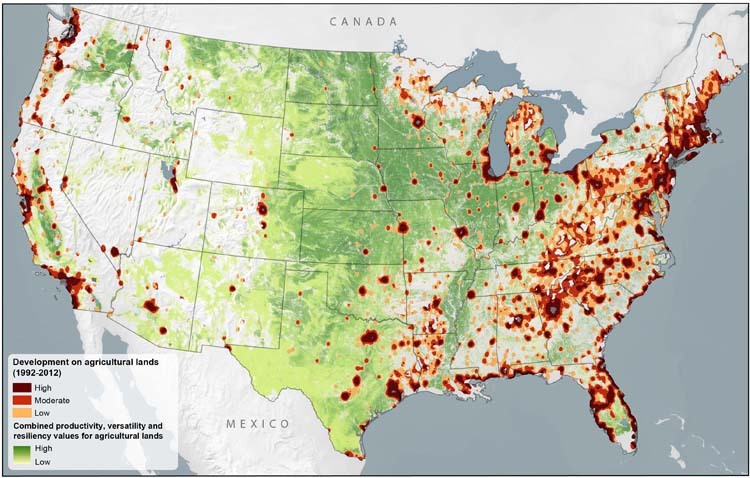 The data showed that although risk is high in large urban areas typically associated with police homicide, the majority of police homicides occur in less-populated regions. In the Mountain States, police were responsible for about 17 percent of all homicides, while in the Middle Atlantic states, police accounted for about 5 percent of all homicides. 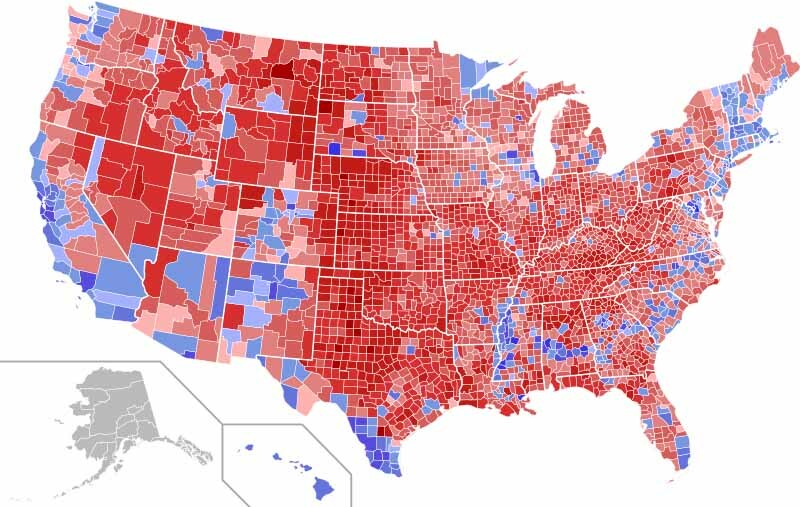 Police accounted for more than 10 percent of all homicides in predominantly rural areas and about 7 percent of all homicides in large central metropolitan areas. Edwards says that though this research provides more accurate data on the use of deadly force by police, it does not paint the whole picture. According to Edwards, this data indicates that deaths of men by police use of force is more common and reaffirms that structural racism, racialized criminal-legal systems, anti-immigrant mobilizations and racial politics all likely play a role in explaining where police killings are most frequent and who is most likely to be a victim. “From a public health perspective, developing targeted interventions for sites with particularly high levels of or inequalities in police-involved mortality may serve as a productive framework for reducing them,” Edwards said. Yep. ol’ Loofah Man man is gone. Bill O’Reilly’s ouster brings an abrupt, embarrassing end to his two-decade reign as one of the most popular and influential commentators in television. Advertisers fled his show and public protests flared after a Times investigation revealed payouts of $13 million to resolve claims against him of sexual harassment and inappropriate behavior.